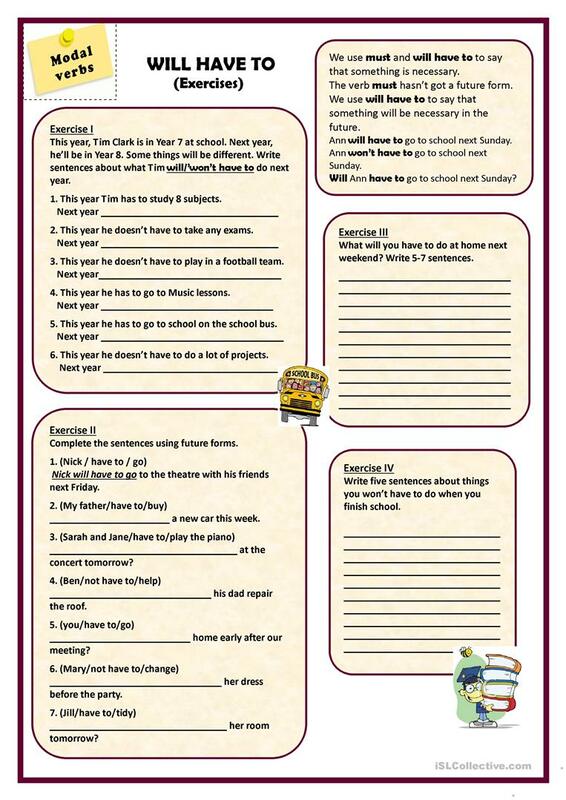 The worksheet was made for teaching and practising the simple grammar aspect:' will have to'. It really works. Hope you find it useful in your own classrooms. This downloadable teaching material is a great resource for high school students and elementary school students at Elementary (A1) and Pre-intermediate (A2) level. 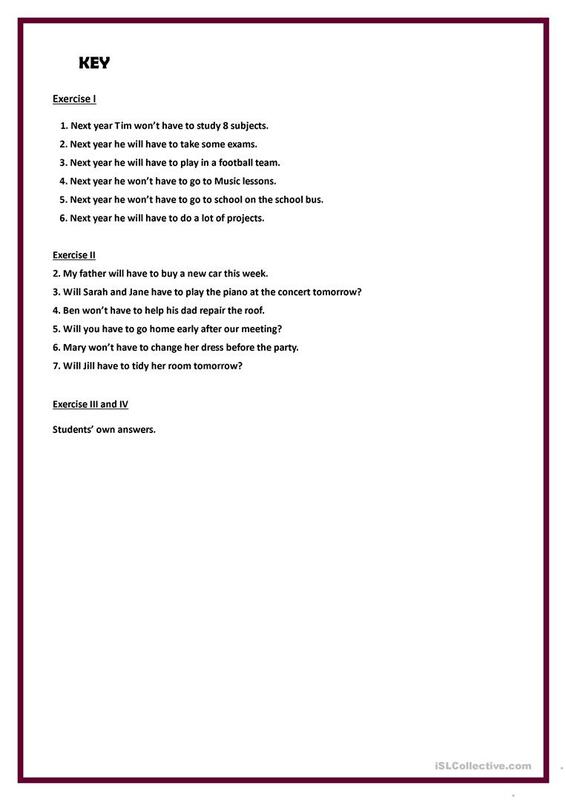 It is great for consolidating MUST or HAVE TO (obligation) in English. You will find the key at the end of the worksheet.